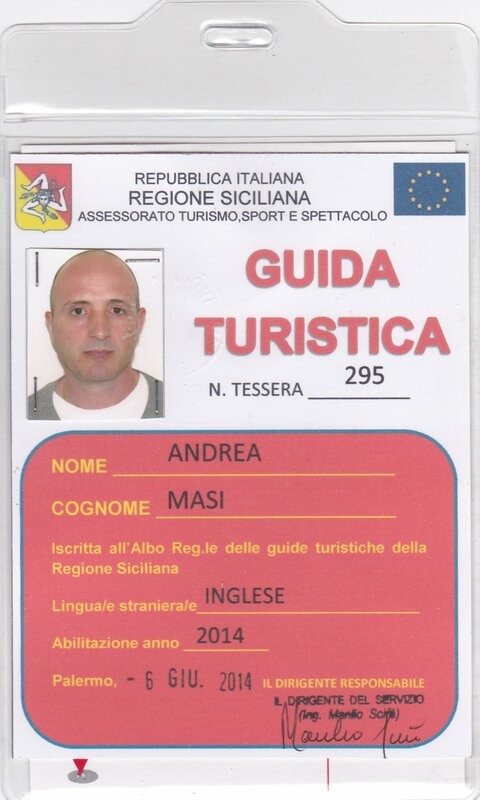 If you want to discover Sicily, its hidden treasures, its history, legends and myths You should book your own personal professional Tour Guide, an English mothertongue historian and archaeologist, fully licensed tour guide. You will be taken to the most important archaeological sites and historical monuments in central-western Sicily. You will also be suggested “Off the beaten track” itineraries, where tourists usually never or rarely go, giving you the chance to discover the real soul of Sicily. The Punic-Roman Tour: Archaeological Museum of Palermo “Salinas” – Roman Mosaics Villa Bonanno – Punic Walls – Punic Necropolis.. The Arab-Byzantine-Norman Tour: Martorana – San Cataldo – Cathedral of Palermo – Royal Palace – Cuba – Zisa – Duomo of Monreale. Baroque Tour: Immacolata Concezione Church – Casa Professa – San Salvatore Church – San Giuseppe dei Teatini Church- San Ignazio Martire all’Olivella Church. Serpotta Tour: Oratorio San Lorenzo – Oratorio del Rosario in S. Cita – Oratorio del Rosario min S. Domenico. Palazzi Tour: Chinese Palace – Palazzo Mirto – Palazzo delle Aquile – Palazzo Steri – Palazzo Abattellis. Street Markets of Palermo: Ballarò – Vucciria – Capo. Liberty Style Tour (Art Decò). Palermo has over 600 monuments and churches. Elymian Tour: Segesta and Erice. Phoenician Tour: Erice and Mozia. Greek Tour 1: Selinus and Cave di Cusa. Greek Tour 2: Valley of the Temples and Museum. Greek Tour 3: Solus – Himera. Roman Tour: Villa del Casale – Piazza Armerina. Minos Tour: Grotte della Gurfa (Alia) – Sant’Angelo Muxaro. Cefalù Tour: Duomo and the Megalithic Temple of Diana. Ciminna: Chiesa Madre – Museum. The above mentioned tours can be changed and adapted to your needs and to your tastes. Tailor Made Tours allow you to make your own personal tour to suit you as you wish and it allows you to spend as much time as you want in any location. Remember it’s your holiday it’s your tour!